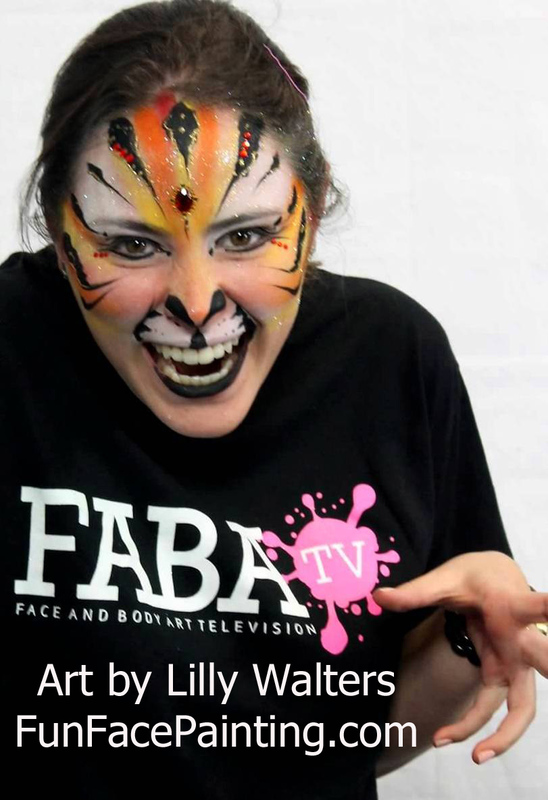 Cats, Dogs, Tigers Cheetahs Face Painting Class Personal Training and Coaching to Be A Face Painter With Lilly Walters, author and artist. Cats and Dogs Face Painting Designs! 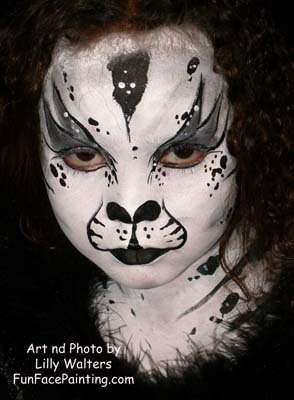 We will start with 20 minutes of ADVANCED brush stroke warm-ups specific to felines and dog face painting designs. These will help bring your skills to a much higher level. We spend the rest of the time working on designs which you will actually paint yourself. You will practice on paper practice sheets (which Lilly will provide), your arms and the arms of fellow students. We balance our 4 hours with observing Lilly's speed designs and techniques and lots of hands on practice. After the class, we will stay for hours to practice.